Thank you for taking action to ensure our fellow citizens’ right to vote is protected! If you have any questions, comments or suggestions, please Contact Us. To sign up as a VoteRiders Volunteer please fill out this short questionnaire. ...and if so, its requirements. Confusion about voter ID is a pervasive problem in EVERY state. Our Voter ID Helpline (844-338-8743) receives as many calls from people in non-voter ID states as from those in states that require or request ID at the polls! Even poll workers are confused and sometimes ask for proof of ID in states where none is required. ...by signing up for our email updates, following us on Facebook and Twitter, and sharing this information with your online and offline social networks in every state. Understanding the rules about voter registration, voter ID, and voting is NOT a partisan issue - it is an American issue. of trying to obtain ID to vote. Make sure to tell us your name (or the name of the voter featured) and share your city, state, and polling location or government office location. In addition to our easy video sharing tool, you can send pictures and stories to us through our Contact Page, email info(at)voteriders(dot)org, call our Voter ID Helpline at 844-33-VTRID, or upload your video to YouTube, Facebook, or Twitter. Tag it with @VoteRiders! 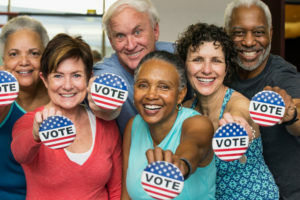 ...about the voter ID rules in your state at your local schools, churches or other places of worship, or other civic or community organizations. Start with our Voter ID Information Wallet Card for your state. Contact us if you need further information or have questions. Have an hour or two? 6Write a letter to the editor, blog post, or op-ed. Find a relevant article here, or learn more about voter ID on our FAQs and What is Voter ID? page. If you are passionate about a voter ID-related topic and would like to write a 750-1400 word blog post, we'd be delighted to read it and might even post it on our site. 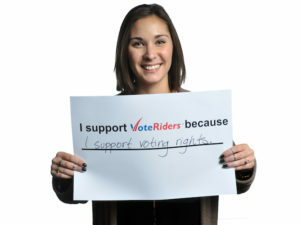 Please email your thoughts to us: info@voteriders.org. 7 Introduce us to potential partners! In our experience, the most effective way to organize to assist voters is to support local Voter ID Coalitions that include on-the-ground organizations, local election and other government officials, community institutions, and businesses like transportation companies. We are expanding our network of Partner Organizations and support their Voter ID Coalitions. 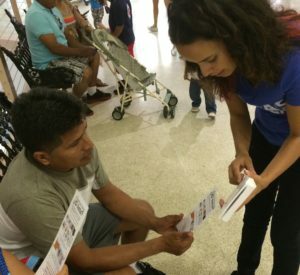 Do you or any of your contacts have connections with local organizations in AL, AZ, CO, FL, GA, IA, IN, KS, MI, MO, ND, NH, RI, SC, TN, TX, VA, WI or WV that might be interested in partnering with VoteRiders? Tell us about them! Have an afternoon or two? 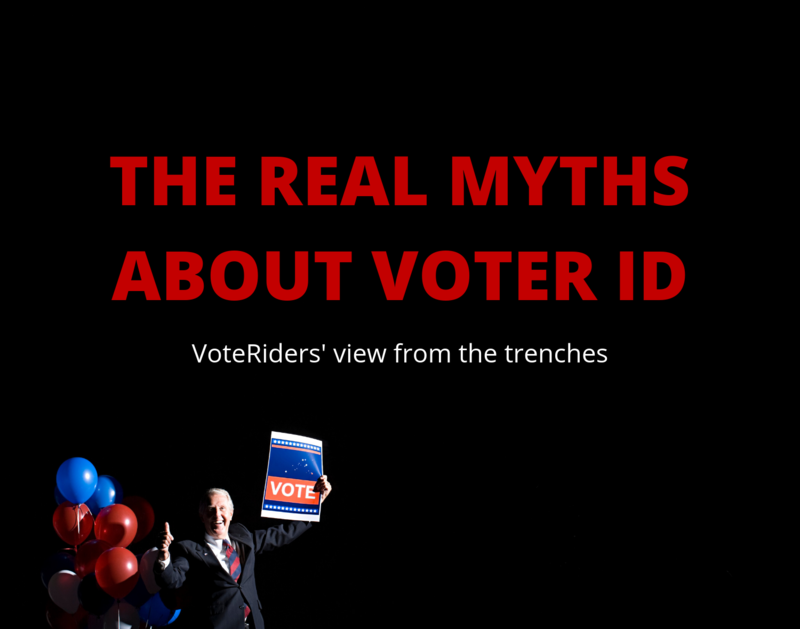 ...our Partner Organizations identify and refer to us thousands of voters who may lack ID. We need volunteers to follow up with these voters to offer a range of practical voter ID assistance. Training will be provided - all you need is an Internet-connected computer and a telephone! Have a couple of days? ...to “Adopt a Voter ID Coalition” in a priority state. These local coalitions need support to offer a full range of voter ID services. Every dollar makes a difference, and donations to VoteRiders are 100% tax-deductible. Of course, these suggestions are just a start! Depending on which state you live in and your interests, we can help match you with a great volunteer opportunity. If you have any additional ideas or questions please contact us any time!